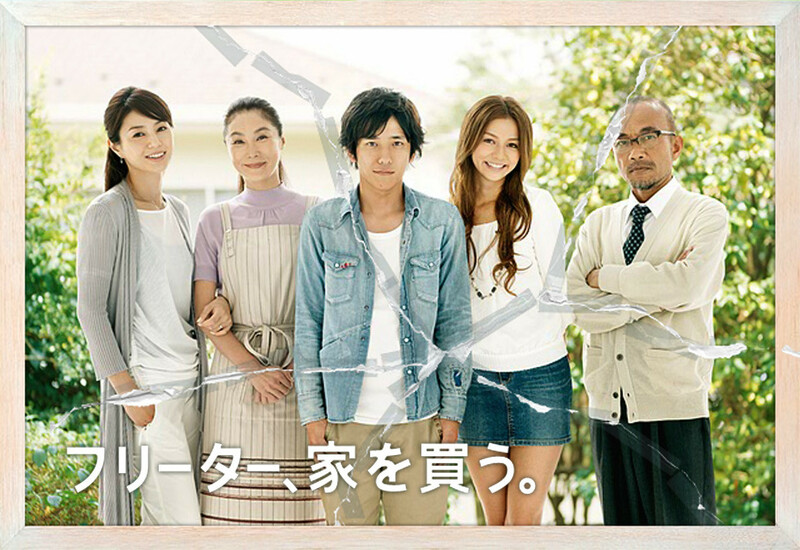 Freeter, Ie wo Kau Special aired on 04 Oct. 2011 at Fuji TV. The story takes place after a year the Take family bought a new house. Seiji (Ninomiya Kazunari) had spent a year working as a member of the full-time staff at Oetsu Construction while managing to continue with his long distance relationship with girlfriend, Manami (Karina). He does get to spend a week with her when she comes back from Wakayama, and gets to contemplate about their relationship as well as their own ideas of marriage. Meanwhile, Manami struggles to deal with personal issues concerning her mother. Also, Seiji and sister Ayako get a surprise visit from an uncle they've never met before which then ignites their curiosity regarding their parents' past history. No reuploading and/or reposting of subs. Please redirect here or at the d-addicts page. If you wish to use my subs for anything, kindly let me know. - 12% translated. Trying to get used to Seiji's unusual speech patterns once again. - 75% translated... love it every time they play that mandolin(?) tune. - 83% translated... lines are really difficult to translate, bringing back the nightmares I had when I first tried subbing the whole series... anyway, around 15 more minutes worth of lines left to go. - Yuizaki_libra must be busy atm so I'm releasing the subs for now for those who can't wait. Will rerelease if she has checked it. Still, hope you like my subs! Thanks for waiting~! - The subs have now been updated with corrections by yuizaki_libra! YAY~! Drama Notes: Freeter, Ie wo Kau. He might not be my most fave Arashi guy, but I do have great respect for him as an actor, for being a good buddy of Ohno-kun, plus, he's a fellow Gemini. I adore Seiji a lot, too... I wouldn't imagine anyone pulling off such a role other than this indefatigable, frank, awesome guy. ...and Nino as the smiling, crazy bday boy!